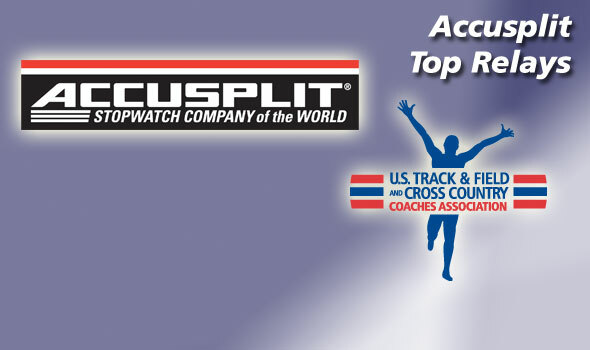 ORLANDO, Fla. – Accusplit, the leader in the professional stopwatch and timing industry since 1972, will recognize the nation’s best collegiate relay teams and their coaches for the 31st time on Tuesday at the USTFCCCA Convention at the JW Marriott Grande Lakes in Orlando. The ceremonies will take place during each divisional track & field general sessions on Tuesday afternoon. With 34 years of professional sports measurement experience in elite level sports, including track and field, swimming, baseball and football, Accusplit Pedometers and Pedometer-based Activity Wellness Programs are the tools that everyone in America and every golfer can use to achieve a healthier lifestyle.